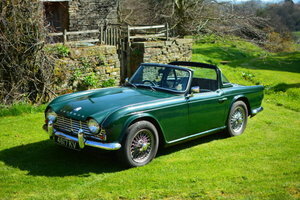 Due to garage space being at a premium, I am reluctantly selling my 1963 Triumph Tr4. 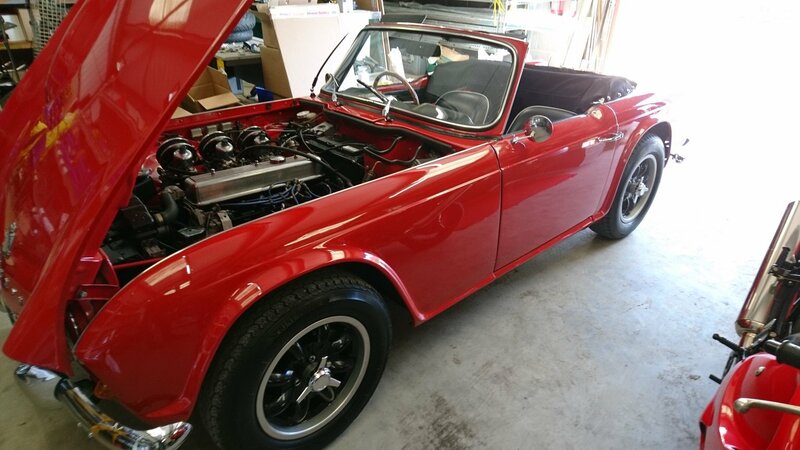 The car is fitted with a stage 2 tuned TR6 Engine and 5 speed box. 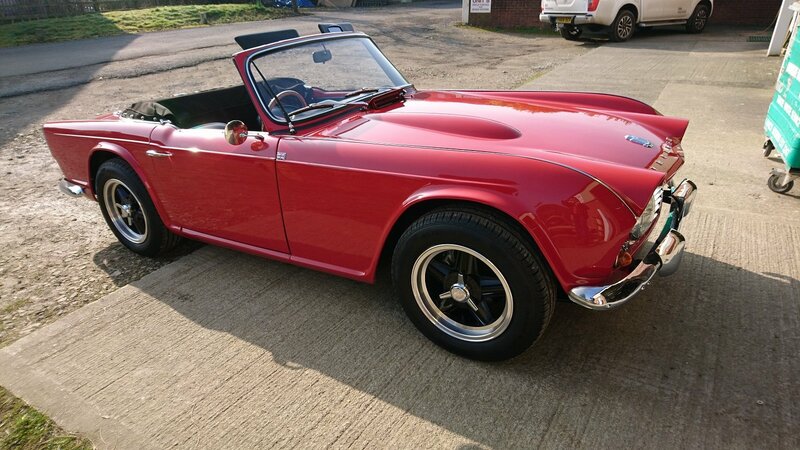 Recent work includes new front suspension and bespoke sports S/S exhaust. The condition of the car is fantastic with no fading and excellent chrome. 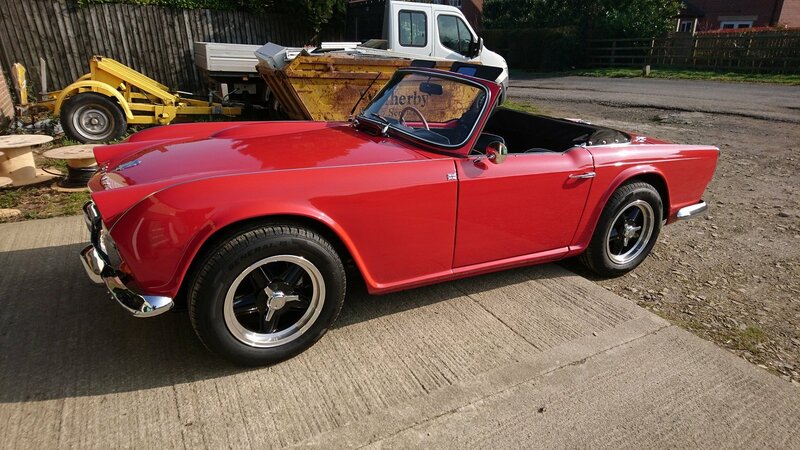 The car has a brand new set of period Revolution wheels and tyres and also a full set of genuine Minilite wheels with good tyres. The car is fantastic fun and is genuinely reliable. 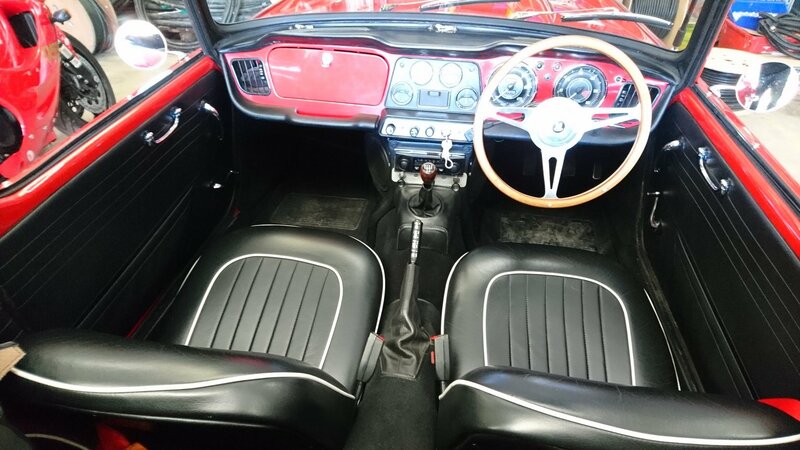 The history of the car is present in a substantial file spanning the years. 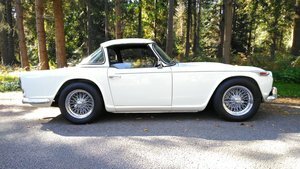 The car was converted from USA spec LHD in the early 90's and was subject to a body off restoration at that time. 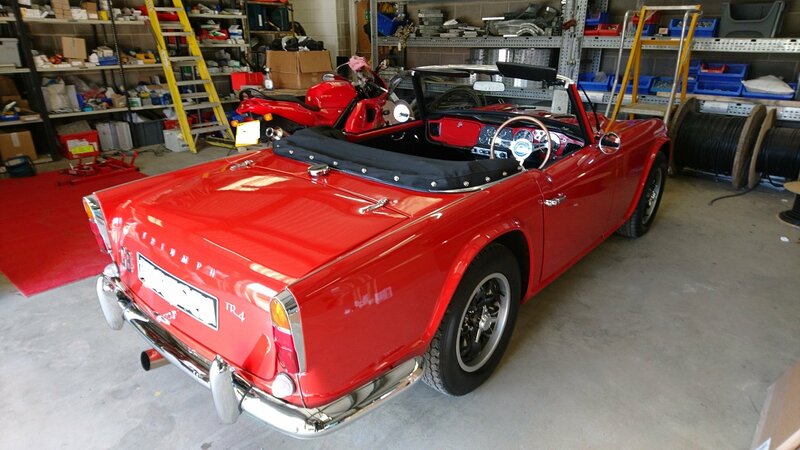 Chassis upgrades were also carried out and a large fuel tank fitted. 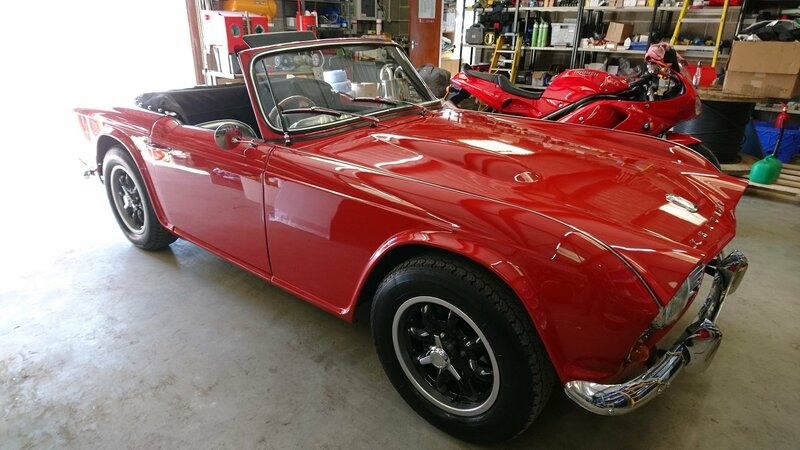 The soft top and tonneau cover are as new. 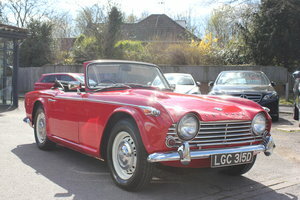 A genuine little TR4 that is suprisingly quick and sounds spectacular. I have various spares that will come with the car including a new radiator and various bushes and accessories. 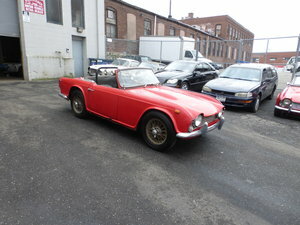 Body off restored Triumph with photo reporting and bills available. Chrome wire wheels. Double SU carburetor. 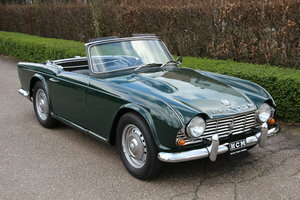 1962 Triumph TR4 "Very Early Model"